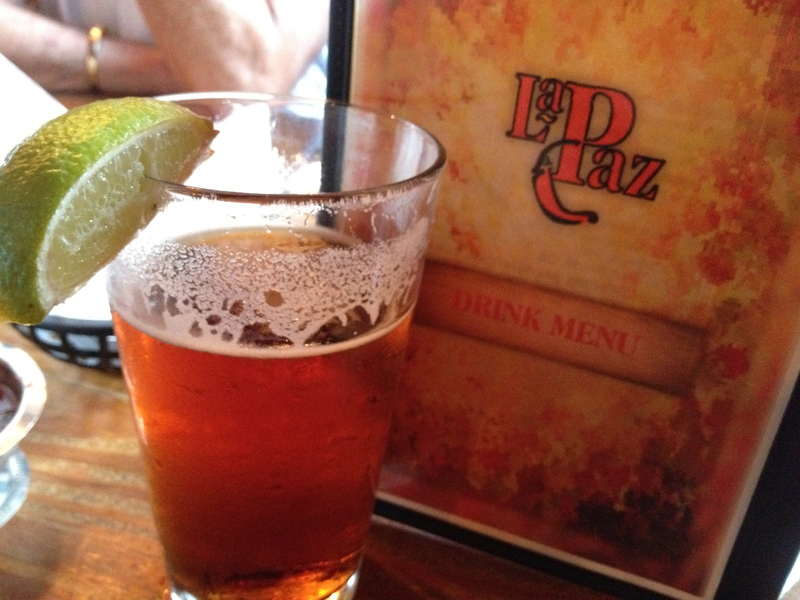 La Paz is a place where we have met friends for many different occasions over the years. It’s centrally located in Vinings and it’s been here for what seems like forever in the restaurant business. In fact, the plaque on the former church says it was restored in 1995, so they must be doing something right. Can you tell it used to be a church? It used to be one of the only places to eat in the area, which is now full of restaurants. 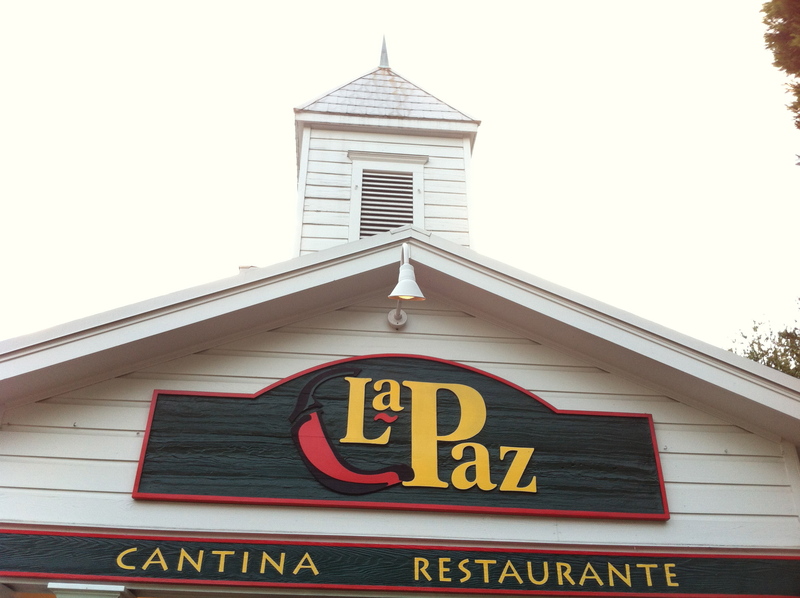 We have not visited La Paz for awhile, so join us while Date Night investigates if it’s still a good bet in the busy Vinings restaurant scene. We are joined by special guests tonight, the parents. We are quickly greeted by a basket of chips, warm and slightly salty. 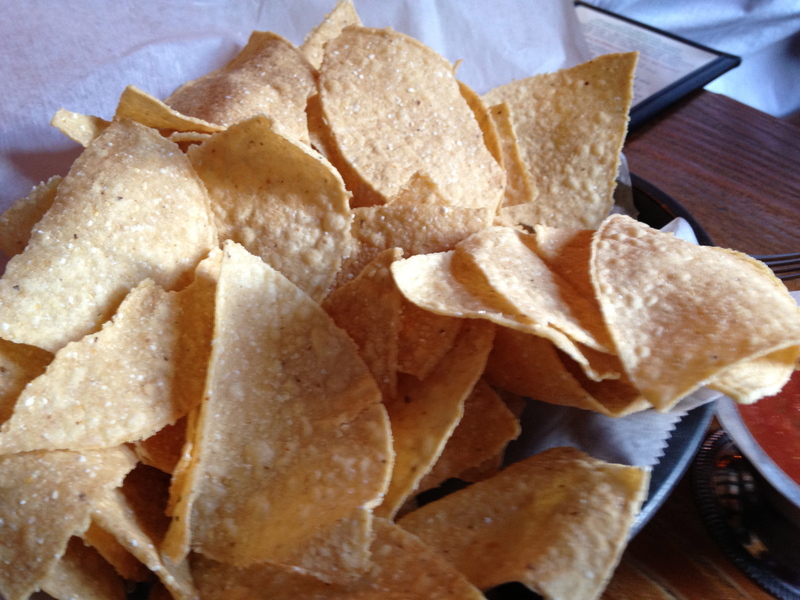 Chips…why do they vanish so fast? The chips seem to disappear from the basket. Are they that good, or are we hungry? Probably both. We are told that tonight’s special is $2 Dos Equis. It’s a great beer to pair with Tex-Mex food, so we jump at the deal. Dos Equis Amber. A good choice when eating Mexican. The amber is pretty malty. They don’t use a lot of hops in the Mexican beers, so these beers tend to be very smooth and go well with tonight’s cuisine. It’s time to order, and it’s a hard choice to make. 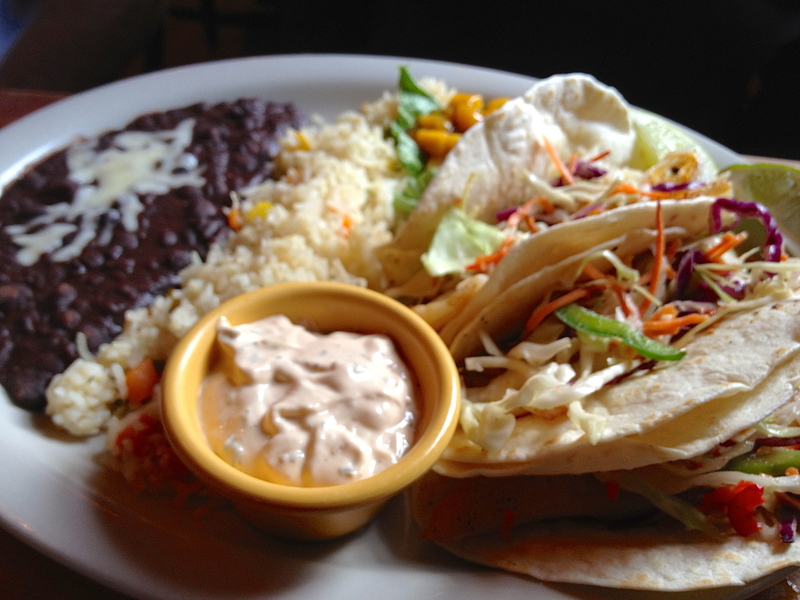 The parents go with the soft fish tacos, accompanied on the plate with some beans and rice. Fish tacos with beans and rice. There were no leftovers. Eve is the sensible one in our bunch and chooses the grilled chicken salad. 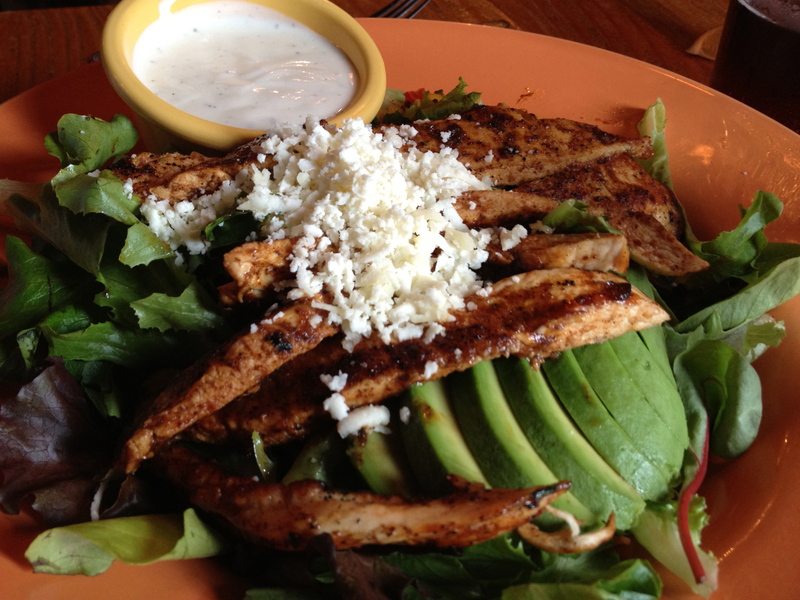 Grilled chicken salad. Eve eats the healthy option. Notice the big chunks of avocado in the salad, a few of which she was kind enough to donate to my plate. Not that I needed any more food, because for some reason known only to my stomach, I order the “El Gordo” burrito. El Gordo adds inches to your waist line. For those of you not up on your Spanish, “El Gordo” means, “the fat man”. If you ate more than one of these every few months, you too would be the fat man. 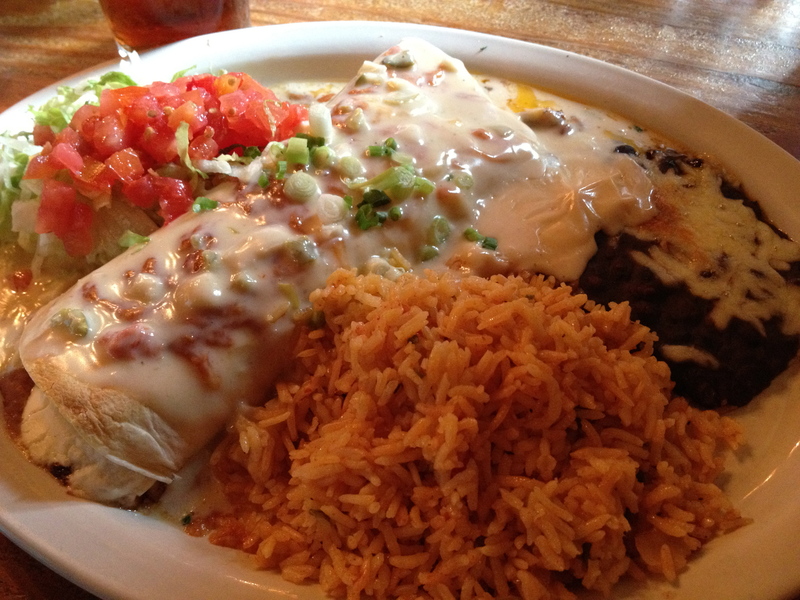 It is a large chicken burrito (you can get meat if you want) stuffed with rice and beans and covered with a cheese salsa. You get rice and beans on the side too. I should have taken half of it home, but I took the whole thing home in my stomach. Luckily, there was a long bike ride planned for the next day to work it off. We leave La Paz happy, and full, and in my case, perhaps too full. La Paz is still as good as it has been in the past, and we are sure that we will be meeting friends there in the future. The next time you are looking for a place to eat in Vinings, check out our old friend in the old church.